Stefano Delle Chiaie. Portrait of a ‘Black Terrorist’ by Stuart Christie. First published 1984. On 2 August 1980 a bomb hidden in a suitcase exploded at Bologna railway station in Italy, claiming the lives of 85 innocent people and injuring over 200. The outrage at Bologna was just one more episode in what has become known as the ‘Strategy of Tension’ – a campaign of terror, infiltration, provocation murder (including that of anarchist Giuseppe Pinelli) that stretches back to the beginning of the 1960s and has its roots in the Cold War. But what exactly are the aims of this seemingly senseless campaign, and who are the people behind it? Of the five people named as suspects by the Italian judge investigating the outrage at Bologna, one stands out from all the rest: Stefano Delle Chiaie. 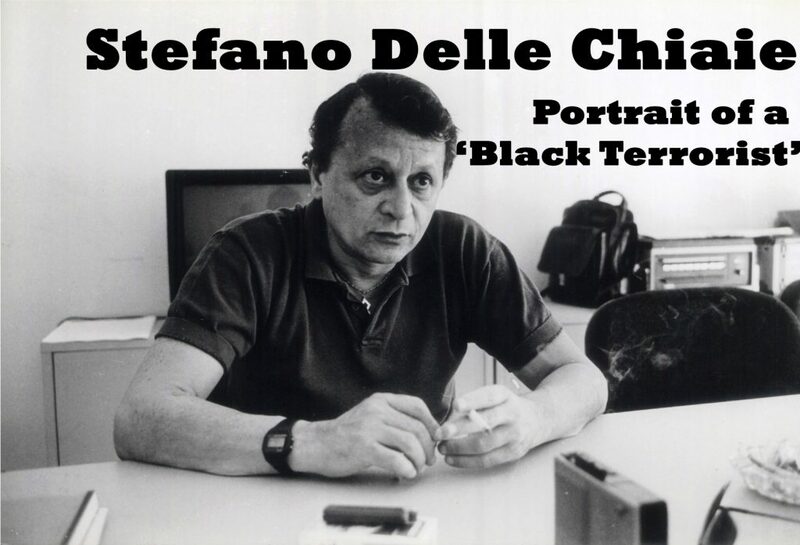 Master organiser of neo-fascist terror, or someone who has been deliberately set up as such by other more shadowy figures, the name of Delle Chiaie is inextricably linked with just about every major right-wing scandal and terrorist outrage to have rocked Italy during the past two decades. The history of Delle Chiaie is the history of Nazism in our world today. Through it we see neo-fascist terrorist organisations in their true role: that of “plausibly deniable” agents of an inner oligarchic power sphere which sets itself above all law and morality.